In Thailand, the Thai Green Building Institute website shows 108 buildings applied for its certification with 36 having been certified under the silver, gold and platinum categories. The criteria for certification covers a projects’ design, construction process as well as energy sources. In line with the trend, certification for well-being was initiated by the US’ International WELL Building Institute with an emphasis on the wellness of people residing in a building, in terms of air and water qualities, lighting, fitness, ease of mind and convenience through innovations. It reported that 1,602 projects from 50 countries had applied, with 159 buildings having been certified. Eric Lee, head of JLL’s Greater China Property and Asset Management business, said that in recent years, eco-friendly skyscrapers had been gaining traction, noticeably in China, as governments tackle rapid urbanisation and its impact on the environment. “While tall structures typically served as landmarks, they are also increasingly used to showcase businesses’ corporate environmental responsibility,” Lee says. “Many project owners and developers seek green accreditation such as LEED [Leaders in Energy and Environmental Design] in order to attract businesses that are on the path to sustainability,” he says. Yet sustainable designs aren’t just doing their part for the planet. Occupiers are increasingly demanding a green working environment, according to Daniel Safarik, an editor at the Council on Tall Buildings and Urban Habitat (CTBUH) and JLL. Aliwassa Pattanathabut, managing director of CB Richard Ellis (Thailand), says office tenants now increasingly prefer LEED (Leadership in Energy and Environmental Design)-certified buildings which have completed LEED-certified interior fit-outs. Multinational companies such as Citibank, Unilever and L’Oreal have all undertaken LEED fit-outs of their Bangkok offices, and all new Starbucks retail branches will have LEED-certified interiors. Many Thai companies have also completed LEED-certified fit-outs and Kasikornbank achieved LEED CI v2.0 Gold certification in 2011 for its Phaholyothin headquarters project. 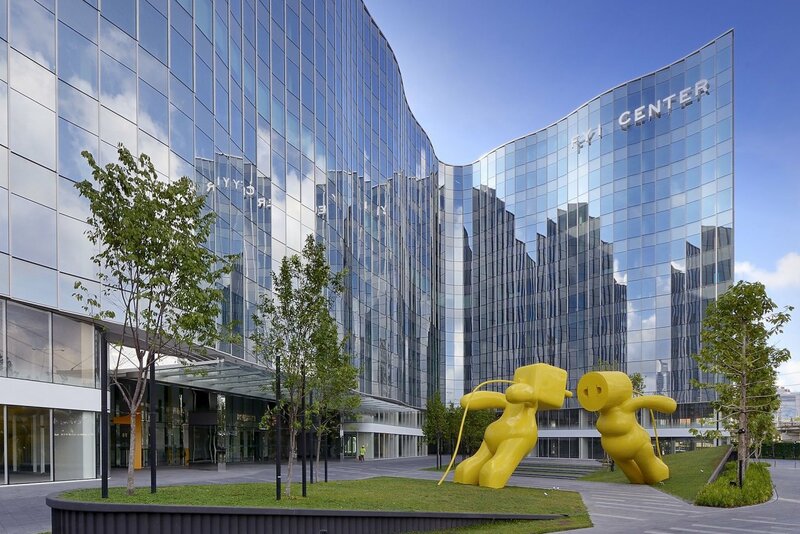 A number of office buildings with LEED Core and Shell certification already exist in Bangkok. 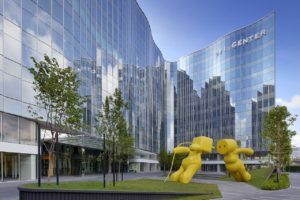 Park Ventures and Energy Complex have achieved LEED Platinum status, and Sathorn Square and the recently completed AIA Capital Centre have both secured LEED Gold certification, she said. Although, the cost of constructing a green building under LEED is higher by 10-20 per cent, depending on whether Silver, Gold or Platinum certification is being sought, it can charge higher rents, she said. For example, FYI Center is able to set rents at 10 per cent above the average rate for the area around Rama IV Road. But it presents a challenge in terms of cost for both domestic and multinational firms wishing to rent space in a certified green building, she added. Aliwassa said not only can new buildings be certified, older buildings could be updated and renovated to achieve green-building status. This would offer more choices for companies seeking rental space at a time when the country is striving to become the hub for corporate headquarters in the Asean Economic Community, she said.